© 2019 Epol. All Rights Reserved. Digital Project Management by Lumico. Grain-and-grain byproducts; Forage Products; Plant protein products; Animal protein products; Oils and Fats; Minerals; Vitamins; Registered Stock Remedies. This farm feed contains registered stock remedies. Mix and feed according to given instructions. See additional stock remedy labels for further important particulars. This farm feed contains feed grade UREA and other NPN sources and must therefore be fed strictly according to the instructions for use. Protect this farm feed against rain. NPN is soluble and animals drinking such a solution could be poisoned. Do not feed this farm feed indiscriminately with other NPN containing farm feeds. Consult an animal scientist. During the first week additional roughage must be fed to facilitate adaption. This farm feed must be fed ad lib. Ensure that the feed troughs are always full. 500 – 750 g/day to lactating ewes. Maximum to rams and whethers 500g/day. This product contains genetically modified ingredients. Grain-and-grain byproducts; Plant protein products; Animal protein products; Oils and Fats; Minerals; Vitamins; NPN sources; Registered Stock Remedies. This farm feed contains registered stock remedies. Feed strictly according to given instructions. Feed ad lib after adaption to the complete feed. Feed to Lambs and Ewes and/or Rams at a rate of 300 – 500 g/head/day on lucerne pastures or at 500 – 1000 g/head/day on harvested fields. This farm feed may contain registered growth stimulants and/or therapeutic remedies. Feed strictly according to given instructions. Feed to lambs from 2 weeks of age at a maximum intake of 1,14% body weight. After adaption period (i.e. day 10 onwards) feed ad lib with good quality hay available at all times. Grain-and-grain byproducts; Plant protein products; Animal protein products; Oils and Fats; Minerals; Vitamins; Registered Stock Remedies. This farm feed contains registered growth stimulants and/or therapeutic remedies. Feed strictly according to given instructions. See additional stock remedy labels for further important particulars. This farm feed contains feed grade UREA and must therefore be fed strictly according to the instructions for use. Adaption: Limit the intake of the finisher feed to approximately 1% of the animal’s live mass during the first week in order to prevent digestive disturbances. Finisher feeds are fed ad lib with adequate roughage or natural grazing. Feeding troughs must always be kept filled. Allow cattle free access to EPOL FINISHER RATION and long hay. Feed ad lib with hay available for the first two weeks. Adapt again if animals were without feed for 6 hours. This farm feed must be fed ad lib. Ensure that the feed troughs are always full. Grain-and-grain byproducts; Forage products; Plant protein products; Animal protein products; Oils and Fats; Minerals; Vitamins. To be mixed with protein-mineral concentrates for ruminant feeds, as recommended by an animal nutritionist. Grain-and-grain byproducts; Plant protein products; Animal protein products; Oils and Fats; Calcium and Phosphorus sources; Salt, Yeasts; vitamin- and Mineral pack; Molasses; NPN sources. This farm feed may contain registered growth stimulants and/or therapeutic remedies. Feed strictly according to given instructions. See additional stock remedy labels for further important particulars. Adapt by feeding at 1% of body weight for 3 days, gradually increasing intake up to about 2,5% of body weight. Always provide ad lib hay/roughage in addition to Super Goat Feed. Adaption: When changing from a NPN-free meal to a NPN-containing meal it is advisable to feed a 50/50 mixture over a period of 4-6 days. Dairy meal must be fed 2 or more times daily. The milk and butterfat production. Adapt slowly to Super Saanen over 3 days by mixing up no more that 1,5kg per ewe per day with enough hay/roughage. After 3 days ewes can be fed at 500g pellets/liter milk, with maximum intakes of 2,5kg at peak milk yield. Super Saanen Goat Feed contains finely milled Lucerne, but additional hay/roughage should always be provided ad lib. Grain-and-grain byproducts; Plant protein products; Animal protein products; Oils and Fats; Minerals; Vitamins. Adapt slowly over three days and feed ad lib with roughage and/or grazing. Feed 1-6 kg/bull/day or not more than 1% of body weight with roughage and/or grazing. Feed not more than 1% of body weight per day for lactating ewes as supplementary feed together with roughage and/or grazing, or feed as flush feed from 3 weeks before mating to 3 weeks after mating. Allow access feed for lambs. Feed 500 to 1000g/ram/day or not more than 1% of body weight per day toghether with roughage or grazing. Feed 4 to 8 kg/horse/day to pregnant mares and 1,5kg/day to pregnant ponies together with roughage and/or grazing. Feed 3 to 4kg/day to pregnant mares and 1,5 to 2kg/day to pregnant ponies together with roughage and/or grazing. Feed 4 to 6kg and 2 to 3 kg/day to ponies together with roughage and/or grazing. Feed 1 to 3 kg/game/day to large game and 200g to 600g to small game. For every 750kg of this mixture fed, feed 250kg roughage. During the first week additional roughage must be fed to facilitate adaption. Feed according to breed specifications. Grain and grain byproducts; Plant protein products; Animal protein products; Oils and Fats; Minerals; Vitamins. Feed according to body mass from 17 weeks to point of lay. Grain and grain byproducts; Plant protein products; Animal protein products; Oils and Fats; Minerals; Vitamins; Registered stock remedies. Feed according to body mass from 8 to 16 weeks. This concentrate contains registered growth stimulants and/or therapeutic remedies. Mix and feed according to given instructions. See additional stock remedy labels for further important particulars. Admixed feed must be fed ad lib to laying hens. Admixed feed does not need to be supplemented with grain or calcium. Grain and grain byproducts; Forage products; Plant protein products; Animal protein products; Oils and Fats; Minerals; Vitamins; Registered stock remedies. Feed as frequently as possible. Feeding level dependant on water temperature and body mass of the fish. Feed without grain from point of lay. Feed without grain ad lib from 4-8 weeks of age. Feed without grain ad lib from 2-4 weeks of age. Feed with grain ad lib from 0-2 weeks of age. Feed ad lib to laying hens from 18 weeks (transfer) to 32 weeks of age. No supplementary Calcium required. Feed ad lib to laying hens from 33 weeks to 50 weeks of age. No supplementary Calcium required. Feed ad lib to laying hens from 51 weeks to depletion. No supplementary Calcium required. Feed ad lib to laying hens from to 51 weeks to depletion. No supplementary Calcium required. This concentrate contains registered growth stimulants and/or therapeutic remedies. Mix and feed strictly according to given instructions. See additional stock remedy labels for further important particulars. Feed admixed feed ad lib to layer chickens from 0-6 weeks of age. Feed admixed feed ad lib to layer chickens from 7 – 18 weeks of age. Grain-and-grain byproducts. Forage products; Plant protein products; Animal protein products; Oils and fats; Minerals; Vitamins. Registered stock remedies. Feed ad lib to layer chickens from 0-8 weeks of age. Grain-and-grain byproducts; Plants protein products; Animal protein products; Oils and fats; Minerals; Vitamins. Registered stock remedies. Feed ad lib to layer chickens from 9 – 18 weeks of age. Feed ad lib to layer chickens from 16 – 19 weeks of age. This farm feed contains registered growth stimulants and/or therapeutic remedies. Mix and feed strictly according to given instructions. See additional stock remedy labels for further important particulars. Grain and grain byproducts; Plant protein; Animal by-products; Oils and Fats; Calcium and Phosphosus sources; salt; Vitamin- and Mineral Pack; Molasses. Feed to lactating sows at the rate 1kg + 0,5kg piglet. Increase gradually to full quantity from 2nd to 7th day after furrowing. Consumption is between 4 to 7 kg per day. Feed to lactating sows at the rate 1kg + 0,5kg/piglet. Increase gradually to full quantity from 2nd to 7th day after farrowing. Consumption is between 4 to 7 kg per day. Grain and grain byproducts; Forage products; Plant protein products; Animal protein products; Oils and Fats; Minerals; Vitamins. Feed ad lib from 56 days of age to 65kg live mass. Feed ad lib from 50 kg live mass to slaughter mass. Feed ad lib from 50 kg live mass to slaughter. Feed ad lib from 50 days of age to 65kg livemass OR 112 days of age. Feed ad lib from 65kg livemass OR from 113 days of age to slaughter. Feed ad lib from 56 days of age to 65kg livemass or 112 days of age. Feed ad lib from 7 to 56 days to sucklings pigs. Wean from 35 days. Or feed after EPOL Econo Pig creep 180 (Reg. No. V4964) from 36 to 56 days (change feed gradually over 7 days). Feed ad lib from 28 to 49 days of age. This follows the feeding of Higro Pig Creep from 7 to 28 days of age. Feed ad lib from 28 to 56 days of age. This follows the feeding of Econo Pig Creep 180 from 7 to 28 days of age. Feed ad lib from 7 to 28 days of age. This concentrate contains registered growth stimulants and/or therapeutic remedies. Feed strictly according to given instructions. See additional stock remedy labels for further important particulars. Feed ad lib from 0 to 8 weeks of age. Feed ad lib from 9 to 16 weeks of age. Feed ad lib with lucerne and or other roughage from 33 to 48 weeks of age. Feed ad lib with lucerne and or other roughage from 17 to 24 weeks of age. Feed ad lib with lucerne and or other roughage from 25 to 32 weeks of age. Feed ad lib with lucerne or other roughage from 17 to 24 weeks of age. Feed ad lib with lucerne or other roughage from 25 to 32 weeks of age. Feed ad lib with lucerne or other roughage from 33 to 48 weeks of age. Grain-and-grain byproducts; Plant protein products; Animal protein products; Oils and Fats; Minerals; Vitamins; Forage Products. Feed ad lib with Lucerne and/or other roughage from 17 to 24 weeks of age. Feed ad lib with Lucerne and/or other roughage from 25 to 32 weeks of age. Feed ad lib with lucerne and/or other roughage from 33 to 48 weeks of age. Feed ad lib with Lucerne and or other roughages to mature ostrich breeding stock. Feed ad lib with Lucerne or other roughage from 2 to 3 weeks of age before start of breeding season. Feed ad lib with Lucerne and/or other roughage to mature ostrich breeding stock. Grain-and-grain byproducts; Plant protein products; Oils and Fats; Minerals; Vitamins. Feed 3 to 6 kg per horse per day, together with free access to good quality hay, according to mass and condition of horse. Grain-and-grain byproducts; Forage products; Plant protein products; Animal protein products; Oils and Fats; Synthetic Amino Acids; Minerals; Vitamins; Yeast Extracts; Enzymes; Flavourants. Feed strictly according to recommended instructions. Allow total daily intake (concentrates and roughages) of 2 to 3% of the body weight depending on: age, workload and climate. Total roughages should be fed at 1 to 1.5% of body weight. May be fed with or without the addition of grains. See tables below for comprehensive feeding instructions. Grain-and-grain byproducts; Forage products; Plant protein products; Oils and Fats; Synthetic Amino Acids; Minerals; Vitamins; Yeast Extracts; Enzymes; Flavourants. Allow total daily intake (concentrates and roughages) of 2 to 3% of body weight depending on: age, workload and climate. Total roughages should be fed at 1 to 1.5% of body weight. The amount fed should be divided into at least two daily feeds of no more than 2.5kg per feed. See tables below for comprehensive feeding instructions. Feed 8 to 12 kg per horse per day, together with free access to good quality hay, according to mass and condition of horse. Feed 2 to 5 kg per horse per day, together with free access to good quality hay, according to mass and condition of horse. Allow total daily intake (concentrates and roughages) of 2 to 3% of body weight depending on: age, workload and climate. Total roughages should be fed at 1 to 1,5% of body weight. The amount fed should be divided into at least two daily feeds of no more thank 2,5kg per feed. See table below for comprehensive feeding instructions. Amounts above are a guide. Roughage (hay, chaff, pasture) should be fed at 1-1,5% of bodyweight. Total Daily Feed (concentrate + roughage) should be 2-3% of bodyweight depending on age, temperament and climate. Allow total daily intake (concentrates and roughages) of 2 to 3% of body weight depending on: age, workload and climate. Total roughages should be fed at 1 to 1,5% of body weight. See table below for comprehensive feeding instructions. *Ideally hay should be fed to appetite to promote healthy gut function. Feed 4 to 8 kg per horse per day, together with free access to good quality hay, according to mass and condition of horse. Feed 5 to 8 kg per horse per day, together with free access to good quality hay, according to mass and condition of horse. Feed 1 to 4 kg per foal per day, together with free access to good quality hay, according to mass and condition of foal. 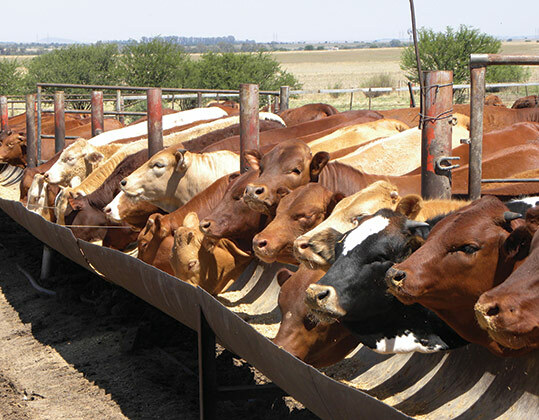 Feed 1 to 4 kg per yearling per day according to mass or condition. Allow free access to good quality hay. Feed 3 to 8 kg per horse per day, together with free access to good quality hay, according to mass and condition of horse. Introduce All Phase gradually to the horse’s diet over a period of 7-10 days. May be fed with or without the addition of grains (additional grain should not exceed 2,5kg per feed). Total roughages should be fed at a minimum of 1% bodyweight. See tables below for comprehensive feeding instructions. All foals should have access to good quality grass hay and some lucerne hay. Before weaning ensure that foals are creep feeding at least half of this amount. Young horses should have free access to good quality hay and about 2kg of lucerne or lucerne chaff per day. Roughage (hay, chaff, pasture) should be fed at 1-5% of bodyweight. Total daily feed (concentrate + roughage) should be 2-3% of bodyweight depending on age, workload and climate.